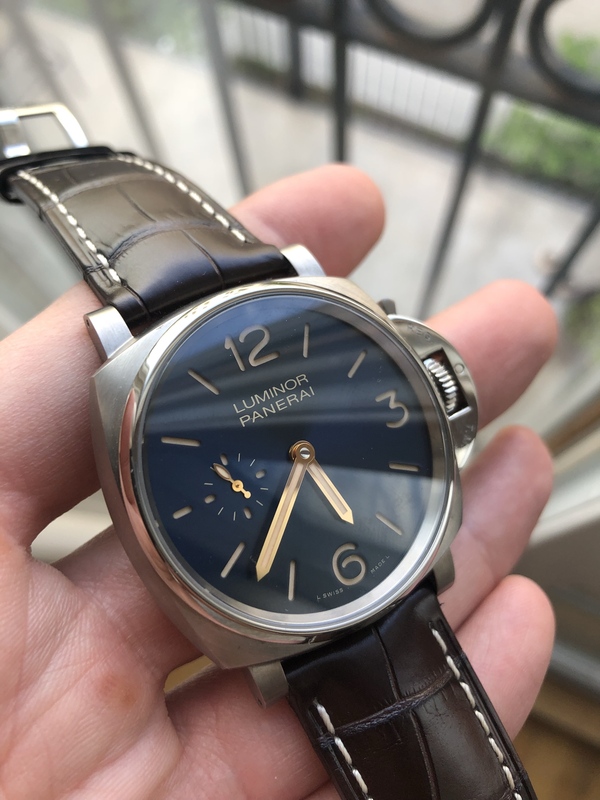 Selling an excellent condition Panerai Luminor Due 728. This is the 42mm titanium version with blue dial and hold hands. The watch is an early U series and comes complete. The watch will be delivered on the standard blue gator strap, the brown strap pictured can be negotiated. $7000 wired and shipped in the US, face to face welcome in NYC. Next Topic: FS F.P. Journe Chronomètre Souverain Pink Gold.